I visited the Cheffins auction at Easter Compton today. This was a altogether smaller affair than the big auctions at Cheffins Cambridge site which most are more familiar attending. 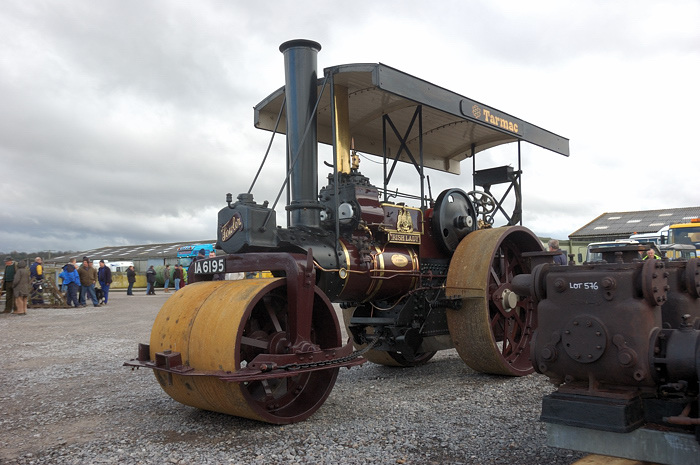 One engine was offered, Fowler T3 Road Roller 15965 “Irish Lady”. This engine has been owned by the Tarmac organisation for a good number of years, see my previous post. Prior to the bidding getting underway auctioneer Bill King explained that VAT would be liable on the purchase price paid. This was on account of the engine being owned by a VAT-Registered company. Obviously this level of markup affected bidding significantly. Bidding started at £30,000 and was relatively brisk and split between 4 people. I didn’t see all those bidding but I know 2 were existing engine owners. Bidding reached £38,500 whereupon the hammer fell. 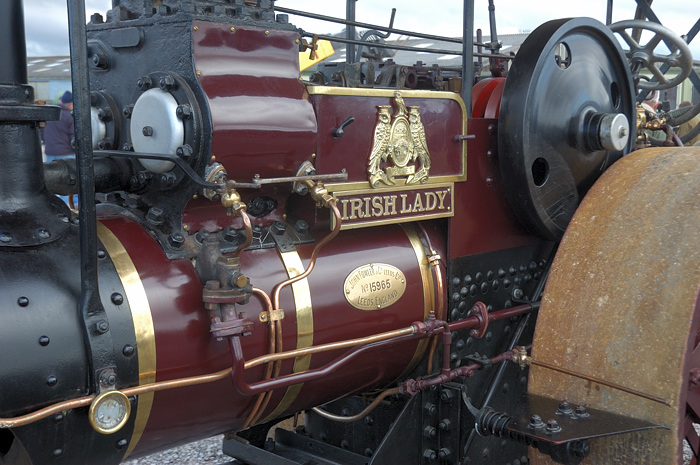 The vendors were looking for £40,000 minimum so the engine remained unsold. 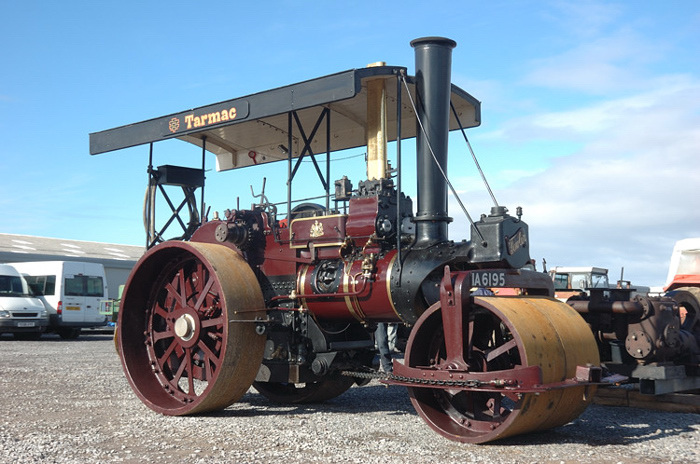 The £40,000 asking price + VAT is pretty much in-line with the cost of a good Fowler roller, I understand the engine is sound boiler-wise but needs work to the cylinders. Another factor in it’s none sale may have been the relatively short time the engine was advertised as and inclusion in the auction. A deal may well have been struck after the auction seeing as the gap between the reserve and highest bid was £2,500 – since the rain was falling heavily I didn’t hang around to find out! This entry was written by David Collidge, posted on 27 February 2010 at 8:52 pm.